With nVidia based GeForce 4 Ti4600 graphics cards leading the market for the past few months it is good to see some competition reappear with the introduction of the ATI based Radeon 9700 series graphics cards. Today we were lucky enough to receive our first shipment of these cards at work and decided to do a little bit of testing of our own to see with our own eyes the power. Enough with the specs and boring stuff and now into the actual testing. 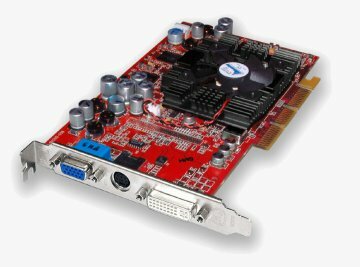 In order to get a wide range of results we used three rather different systems that were available to us, we tested the systems as they where with their original cards and then once again with the ATI Radeon 9700 Pro. All the following where achieved using the supplied drivers (and only the Pentium 4 had a fresh installation of Windows). Well my friends we have a dead set, hands down, winner right here, the ATI Radeon 9700 Pro is certainly all that it was hyped up to be, and just you wait until DirectX 9.0 is released later this year to take control of the full potential of this card. We did notice a few problems here and there while testing, mainly some problems in games due to Anti-Aliasing and the likes, but most of these were overcome with settings and patchs. This is expected with a first driver release and should mostly be fixed once updated and better drivers are released. On a further note we can't wait to get our hands on a Gigabyte and Hercules card for comparison.